Kelly Fraser was inspired by contemporary singers like Pink and Rihanna to find her voice, but now the Inuk artist is looking to her family history and culture for a deeper connection. "I wanted to make those kind of messages like the artists I listened to," said the 23-year-old pop singer who fell in love with music at a young age. That's when she saw the movie Freaky Friday starring Lindsay Lohan, whose character plays in a band, and asked her parents to buy her a guitar. They told her that they would if she promised to practise regularly. She did and joined her first band when she was 15. Fraser said she would listen to her favourite artists when going through a hard time but those artists didn't sing about what she was feeling in a language that she understood. "I want to keep my culture and language strong so it's a no-brainer for me sing in my language." In 2012, she released a cover of Rihanna's song Diamonds, sung in Inuktitut. It went viral in the North and she followed it up with her first album, Isuma,two years later. "[Language] can make the younger people more interested in learning and after my mother's generation went to residential school, I want to keep it strong because they kept it strong," she said. "I'm going to keep fighting the same fight they fought." Fraser said the youth are listening. 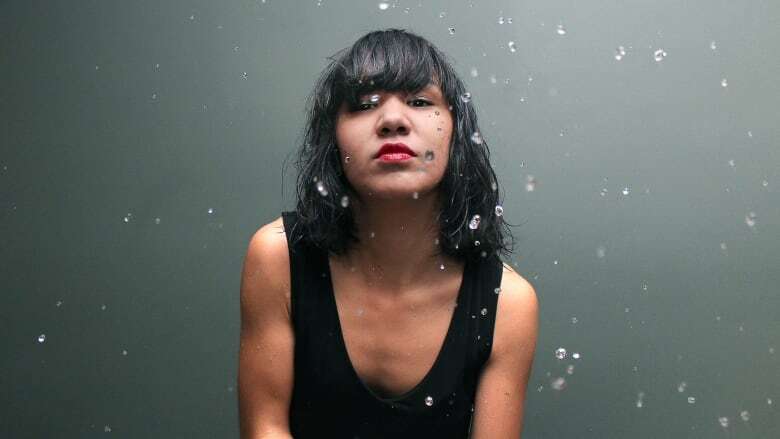 "They want to do things that Inuit haven't done yet like I have with Inuktitut pop music." Her second album, Sedna, was nominated for a Juno award for Indigenous Music Album of the Year. Sedna, is the sea goddess in Inuit mythology, who rules the animals and the weather. (Thor Simonsen)Sedna, the goddess of the sea in Inuit mythology, rules over the animals and the weather in the North. The once human woman was married off by her father, first to dog who she had puppies with and sent away, and then to a raven who turned into a violent man. So she called on her father to save her but as they travelled away by kayak a great storm rose. Afraid, the man threw his daughter from the boat, cutting her fingers off to keep her from holding onto the the side. That is when she was transformed into a sea goddess. Fraser said she feels a strong connection to the powerful being. "I feel connected to her story because I lost my father at age 16 to suicide. It's very traumatic. I feel like it's similar to Sedna's father cutting her fingers off. It's like my father cut me out of his life." Fraser said she too had to give up a child for adoption when she was 17, just as Sedna had to give up her puppies. Despite her personal struggles, she said she has never given up on her dreams. "I feel a very deep connection with her through trauma and through the determination to keep going."